Thinking about doing some anonymous blogging as part of your online business efforts? I highly recommend reading the following article about one anonymous publisher. While YOUR intentions will no doubt be loftier than his, there are still some distinct disadvantages to anonymous publishing that I outline below. I've been keeping myself highly amused over the past 6 weeks reading a newsletter series of Internet marketing ebook reviews published by an anonymous author. On the homepage, this self-proclaimed (yet anonymous) ‘guru' offers ebooks by gurus for free. I was shocked to see the Super Affiliate Handbook in the list of books offered, so I kept reading to to investigate this supposed violation of my copyright. Shortly thereafter, the anonymous ‘guru' author explains that he reviews these popular Internet and affiliate marketing manuals and will send you his condensed and ‘truthful' version when you sign up for his newsletter. I visited the FAQ page, the ‘guru' tries to establish credibility by claiming to have 10+ years experience in the IM industry and that if you've been online for more than 5 minutes – you've heard of him. That tack doesn't work with me, but I signed up for the newsletter none-the-less, curious to see his take on the manuals listed – most of which I've read and reviewed (or chosen not to review in some cases). Upon subscribing, the reviews started pouring into my Inbox. After reading only one review, I started looking forward to the daily chuckle. That I found the content so laughable was surely not what the anonymous guru intended, but I just couldn't help myself. In each ‘review', the ‘guru' tries to makes it appear that he's actually read the book by including page numbers, a short description of content and then proceeds to lambaste the author. Of course, having ‘somewhat' intimate knowledge of the Super Affiliate Handbook's contents, verification wasn't difficult. All the references were completely bogus – not only for the SAH, but for each of the others as well. Oh, he may have peripherally scanned a 2003 version, but actual reading he apparently does NOT do. Every manual gets completely trashed – yet, in each case he refers to the original version – despite the fact that most of the books mentioned have been completely revised by their authors. Of course, he wouldn't want to share that information with his subscribers, because that would expose him as a fake and a liar which would make it difficult for him to sell the products that he promotes in each email – hosting and autoresponder services. At the end of each email, he also mentions that you need something to sell, but that's entirely up to you. I agree with that, but real ‘gurus' (or those who actually know what they are talking about) also offer their subscribers some help in that direction. So, why did I laugh? Well, I did a little detective work and discovered that the Alexa 7-day average ranking for his 2-year old site was a pitiful 1,814,598. No REAL ‘guru' would have numbers THAT low. Honest to goodly, I know newbies who have significantly higher Alexa rankings with on freshly installed WordPress blogs. So, it's obvious that this so-called guru is not what he says he is — but how does that affect your desire to share good information while remaining anonymous? 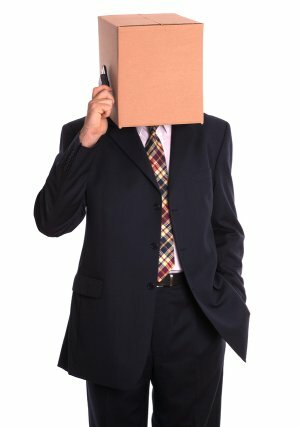 Choosing anonymity makes a publisher's credibility suspect from the outset. Astute readers will either immediately discount the writer's credibility and move on, or dig deeper to assess the publisher's credibility. Note: Any reader who blindly accepts what someone online writes without confirming that writer's credibility deserves to be conned. You can't really hide on the ‘net, no matter how hard you might try. As shown in the article above, it's relatively easy to determine and/or discount the veracity of claims made by anonymous bloggers or publishers. Ultimately, anonymous blogging or publishing distracts your audience from the primary objective of a business website or newletter – getting them to buy something. If you want (or need) to hide your real name for safety or other reasons, I'd recommend using a pseudonym, and do what so many in the Internet Marketing community do – use your first and middle names. That way, if you're ever called upon to speak at a conference, you can present yourself as the person everyone knows as “Patricia Rose” or “Jack Stewart”. Besides, your anonymity as “Mr. X” won't last long once the conference pictures start to circulate online. This is an interesting article my friend and I agree you should definetly use a pseudonym but I understand many bloggers don’t have a reputation — starting off –:-) 🙂 🙂 . Have you ever thought about creating an e-book or guest authoring on other sites? I have a blog based on the same subjects you discuss and would really like to have you share some stories/information. I know my viewers would value your work. If you’re even remotely interested, feel free to send me an email. Thank you for this post, Ros … I wish I’d seen it sooner! Having a hyperactive conscience, I’ve struggled with using a pseudonym. I fall under the “safety issues” category and you are the first person I’ve seen address this at all. I appreciate your suggestions in the last paragraph of your article: they might help me “own” my pseudonym, stop feeling like a liar and get down to business. I would love any suggestions for dealing with social media using a pseudonym: posting photos, videos, dealing with Facebook, etc. It’s little wonder that anyone who was as unethical as to steal and lie would look to do it “anonymously”. If your not proud of what your doing………don’t do it!!! I’m trying to figure it out for myself too. I’m getting started with the affiliate business and I’m not sure if I should expose my real identity. On one hand – affiliate partners are real people that want to deal with people, not made-up characters. On the other hand – I wouldn’t want to get associated with affiliate marketing because some of those partners might become my employer one day. What do I do? I use a pen name when I write, solely because I was afraid that people would think I was silly a few years ago when I started blogging. Turns out that most people enjoy my writing and I have acquired a little following. I am still glad I did it though, I think it is cuter than my real name. After reading your Super Affiliate Handbook cover to cover just this week, I am getting ready to re-vamp some things on my blog and go from casual blogger to Super Affiliate blogger!! Thanks for all the great advice, I hope our travels cross paths one of these days. “…Cuter than my real name…” Love it! Whatever the reason may be — as long as your happy with your decision is all that’s really important. Yeah, why not use code names or pen names instead of being anonymous? Definitely, it would still hide your real identity. Anyone claiming to be a “guru”, anonymously or not, should be considered suspect. Can you share with us how you would do that with this Anonymous person? I write under a pseudonym as both my birth name and married name are so unique that I’m the only one in the world with it according to online data statistics. To me, it’s like being in a fishbowl in terms of having every comment I’ve ever written easily traceable no matter how harmless it maybe. I recently read an article that highlights this even further. It’s pretty sad that this is happening here in the USA. Very interesting. I’m curious to know how you figured out how many links point to a particular site. Thanks in advance for your reply. Hope you’re having an amazing day Rosalind.